1. Tory Burch is having her 25% off Friends and Family event!!! You know I'm alllll over this one. I'm definitely looking for some new sandals....what shall I get?! 2. I have $40 of Old Navy Super Cash to spend starting Sunday! I'm thinking of getting some new workout gear. 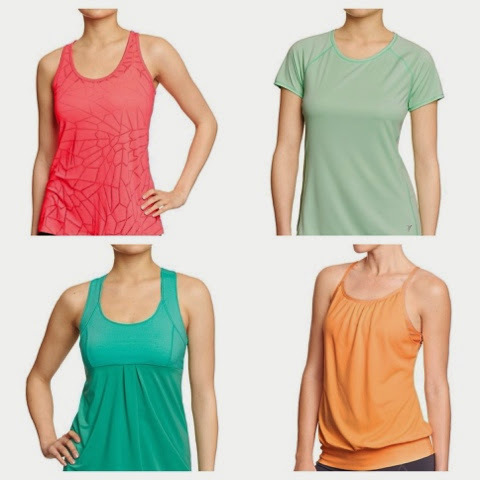 Sorry, I am too cheap for Lululemon! 3. I also have $50 of GapCash to spend starting in a few weeks (yep, love those Gap brands)! 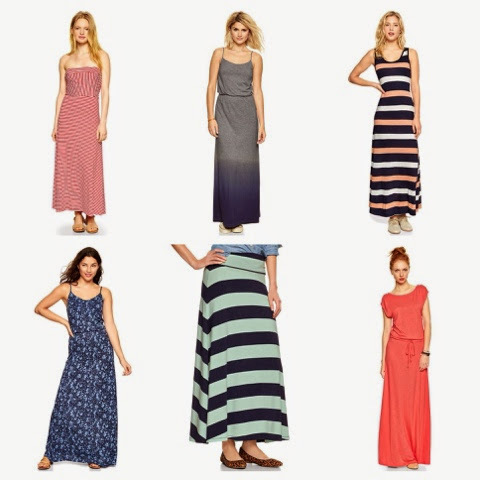 I've had my eye on a few maxi skirts/dresses for summer! 4. I feel like I mention Tweekaboo in every freaking Five on Friday, but I just got an email that they are offering 20% off a photo book with promo code MomsRock! It expires May 4, so I will have to hurry up with Ella's 3 month pictures so I can order her 3 month book before next Sunday! 5. Ok....something I've already bought! I was in Kid to Kid the other day and scored all of this for $50! Yes, that's a Lilly Pulitzer dress ($18!) and some super adorbs Gap jean shorts ($5!). And that pink bubble is getting monogrammed today! Should I do "E," "eFg," or "Ella"?! Eeeeeee I'm so excited for my girl's first monogrammed outfit!!! Stopping by from the link-up! I definitely recommend you hit up Old Navy! I just got some great work-out gear from there! Have a great weekend!